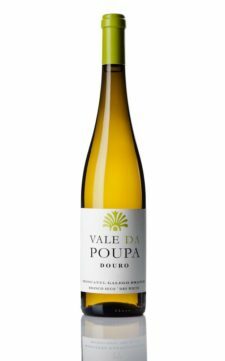 On our search for Portuguese sparkling wine (Espumante) we found ourselves on the motorway heading up into the interior past Vila Real in the northern hinterland of the Douro. 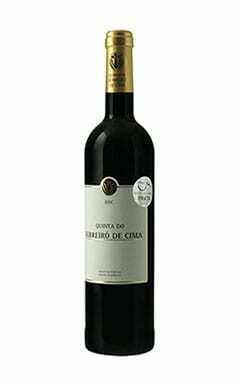 I had read an account of a producer in the Douro area and was keen to find out more. 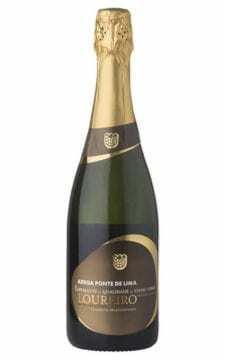 Sparkling wine in Portugal is usually associated with the cooler coastal regions such as Bairrada or Minho, very different from the hot Douro valley up against Spain. 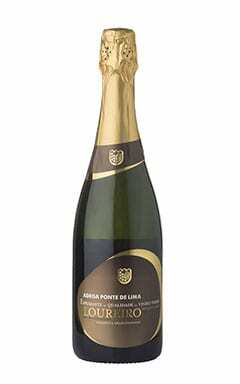 We found Caves Transmontanas in an unassuming plot on the south side of Alijó, perched some 600m above Douro valley where the cooler climate and granitic soil conditions provide perfect conditions for growing the grapes needed for making sparkling wine. Here Vértice is made as a Vinho Espumante do Douro DoC. We were met at the Adega by Celso Pereira who explained Caves Transmontana’s early links with Schramsberg in Napa California, and pioneering experiments with different traditional Douro grape varieties such Gouveio, Malvasia Fina, Viosinho, Rabigato and Touriga Franca to find the high levels of acidity and neutral flavours needed for the base wine. These allow the yeasty bready flavours of the lees (dead yeast) to come through in the sparkling wines. 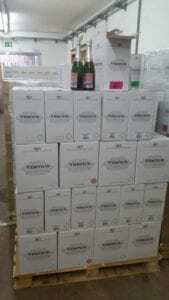 Gouveio fitted the bill nicely and makes up much of their sparkling wines. It was also found to be most age worthy. Celso took us on a tour around the winery. No deep underground tunnels in the chalk as in champagne region of France but rather cool temperature controlled compartments with dark bottles stacked high against the walls. 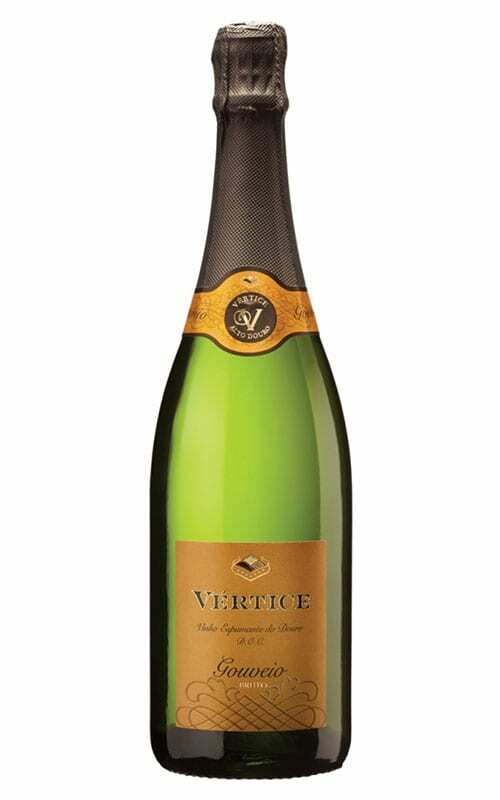 Here the base wines undergo the secondary fermentation in the bottles in the champagne style and take on those lovely nutty brioche flavours from the prolonged contact with the lees (dead yeast cells). 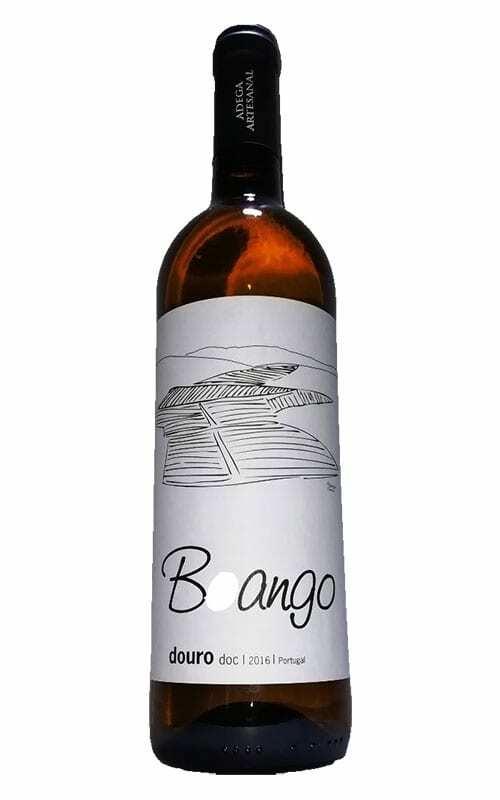 The wines undergo this secondary fermentation from one year to 8 years, sometimes more. The sugar is mostly fermented out and the residual sugar levels are surprisingly low considering the lovely rounded flavours. 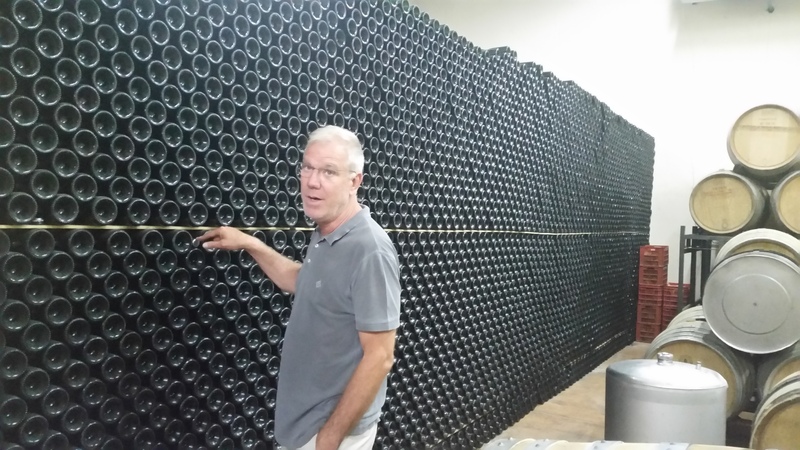 Celso showed us the other trappings of a winery specialising is the art of sparkling wine production; the pneumatic presses, the riddling racks where the upturned bottles are slowly turned over weeks and months to encourage the dead yeast cells to drop down to the neck of the bottle. 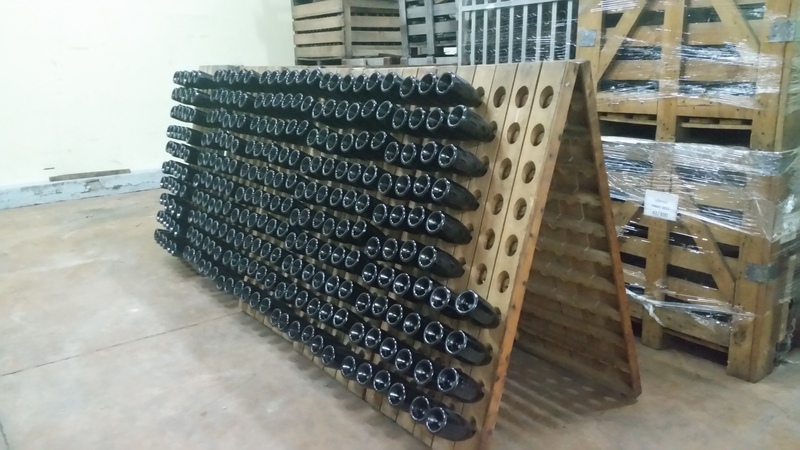 The de-gorgement machine where the bottles are inserted upside down and the necks frozen. The caps are removed and the pressure of the wine inside the bottle ejects a plug of frozen dead yeast cells. 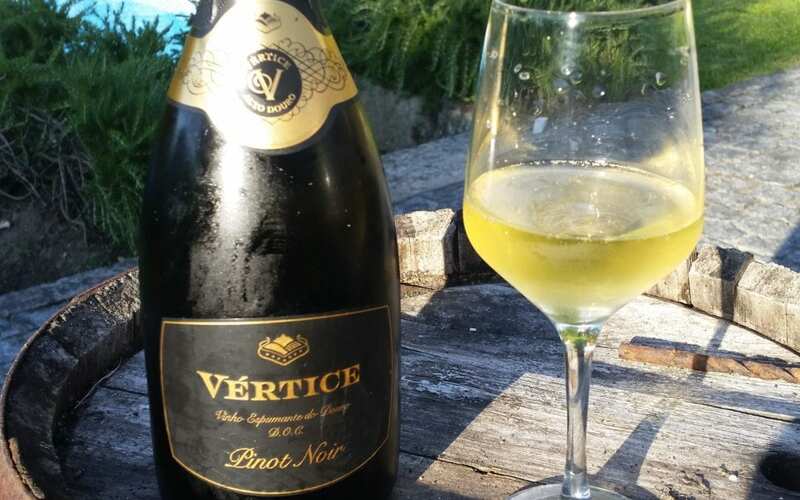 The bottles are quickly closed again to preserve the bubbles in solution but not until a small amount of wine from previous vintages and some sugar (‘dosage’) is added to the bottle and a chunky champagne cork is squeezed into the bottle and secured with wire. Finally the tasting ! 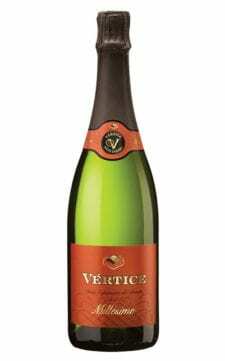 Celso is clearly passionate about his art and the attention to detail shines through as he talks about the different sparkling wines that he and his colleague Pedro Guedes have crafted over the years to build up the high quality product that is Vértice. Careful blending is key to maintaining quality especially when you have different varieties from different growers as well as variations within the same plot of vines. 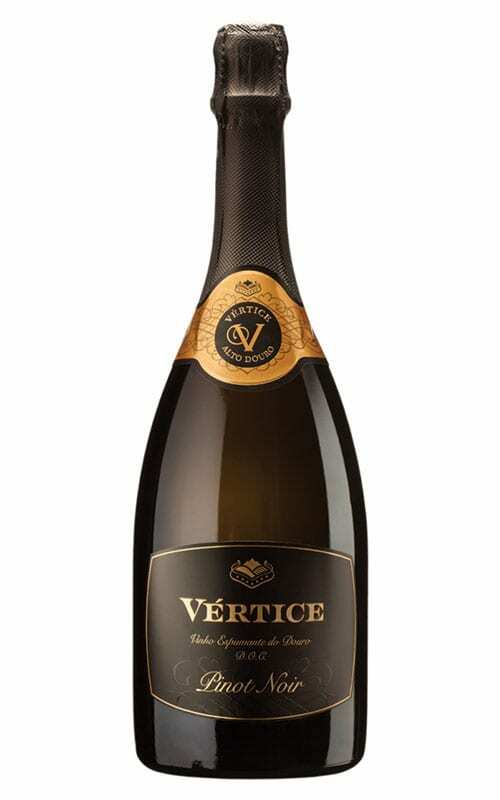 This careful attention to detail also comes through on the beautiful labelling which includes the age of bottling and degorgement, (key information often omitted on sparkling wines and champagnes). We drank from large glasses I normally associate with table wines and Celso explained that these glasses allow the lovely autolytic yeasty aromas a chance to open up before tasting the wines. Starting with the Rosé we enjoyed the wonderful, accessible wild strawberry flavours provided by the Touriga Franca grapes, then onto the Cuvee and Millesmie with their blends of Gouveio, Malvasia Fina, Viosinho, Rabigato and Touriga Franca, the longer bottle ageing providing more contact on the lees and giving hints of brioche and almonds with stream s of delicate persistent fine bubbles. We ended our tasting with Gouveio and Pinot Noir Espumantes, single varietals which have spent 8 years on the lees. 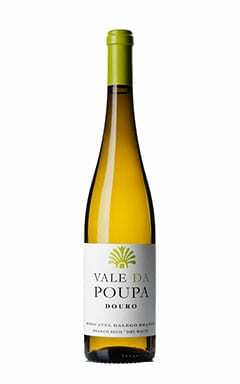 These wines have very dry structured, rounded ripe fruit along with slightly oxidative, tertiary flavours. 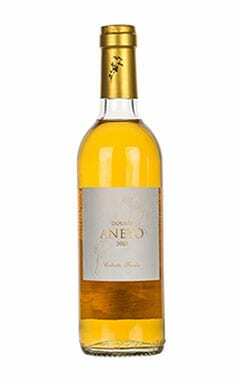 Our favourite, the Gouveio is partially aged in old French oak barrels. 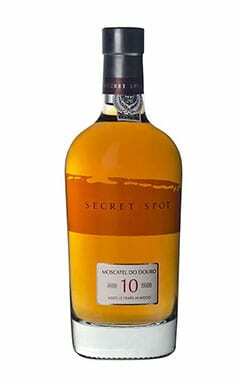 It has great ageing potential and can be put down in a cellar. 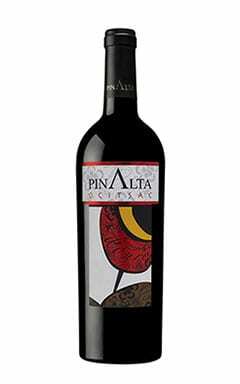 This wine is attracting much interest from the wine press in particular Robert Parker and Wine Spectator and features on the wine lists in uptown restaurants of Manhattan. Celso also gave us the opportunity to taste the dosages which have been carefully developed over many years and are the product of many vintages. We tasted Pinot Noir and also Gouveio blended with Viosinho, both have evolved over many years in old French oak barrels and some of which will soon be bottled under Transmontanas Table wine label – Quanta Terra. 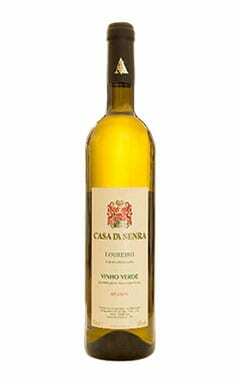 The Gouveio Viosinho blend in particular had lovely golden hues and intense honey and kerosene flavours – a real treat ! 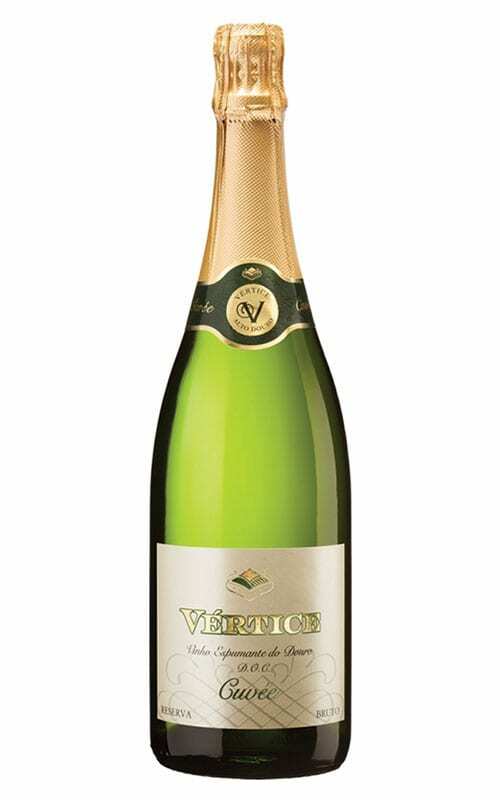 These sparkling wines from Vértice will feature on the Portuguese table at the upcoming Fizz Feast at The Edinburgh Academy on 18 November http://www.wineeventsscotland.co.uk/fizz-feast. 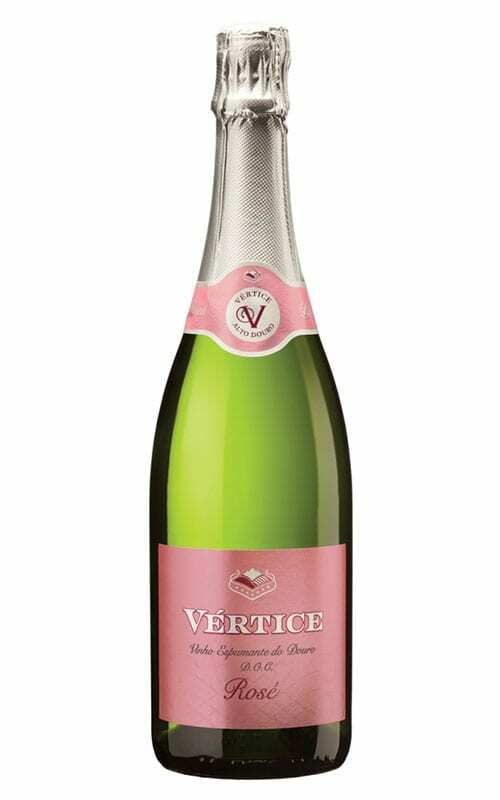 Come along and enjoy some very high quality sparkling wines at affordable prices ! !